Identifying the cause of a roof leak is an essential aspect of repairing it. This can be difficult in many cases, as the source of the leak may be hard to pinpoint, even when there is a clear evidence of water damage in your home. The following are just a few of the possible causes of leaks, which should be addressed by roof repair specialists. Shingles must remain intact to prevent leaks from occurring. Accordingly, shingles with visible damage or those that are missing will allow water to make its way down into your roof. Storms with high winds and torrential rain often knock shingles loose, which may leave them in your yard or even in the gutters. If so, speedy roof repair is a must to prevent structural issues. The lifespan of your roof is finite, which means that after about 20 or so years you’re bound to experience an increasing number of issues, including leaks. 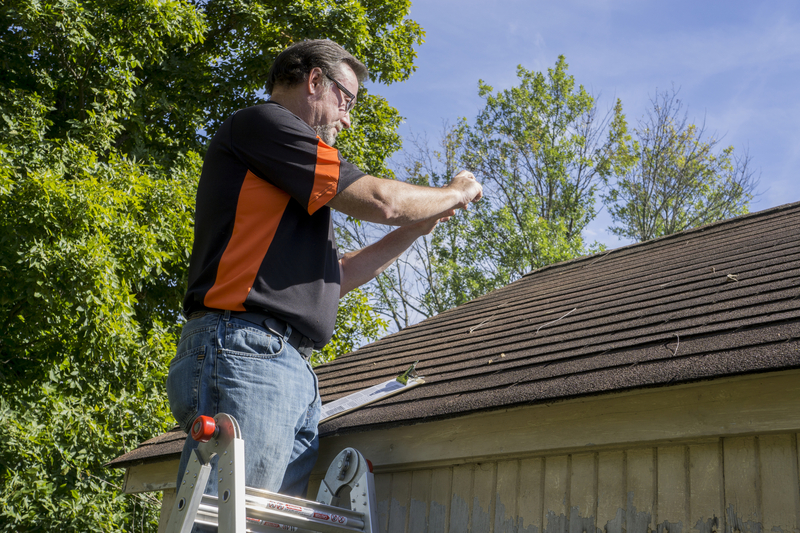 A new roof installation may be your best bet for older roofs. Repairs are often ineffective in this situation, which means you’ll just end up wasting money. Flashing is installed under shingles and in select areas to keep water out. The tar used to adhere flashing to your roof degrades over time, which causes flashing to become cracked. A roof repair professional will remove worn flashing and replace it, both under shingles and along fixtures, such as chimneys and vents. Gutters allow water on the roof to be transported to the ground below. When gutters are clogged with debris, such as branches and leaves, water will back up onto the roof and may even seep down through the shingles. While keeping your gutters clean will prevent this from happening, once the damage is done your roof will need to be repaired. If you’re having issues with roof leaks in Onalaska, WI, Interstate Roofing & Waterproofing is here to help. These professionals will assess the state of your roof, identify areas of leaks, and offer a reasonable strategy for repairs. In the event your roof needs to be replaced, they can also undertake a full-scale installation and specialty projects requiring a higher level of skill. Call (608) 783-2106 to schedule roofing services at your home. You can also visit their website for more information on roof repair.